Airfix/Marx WWII Russians: AFX303A 20 figures in 10 poses. 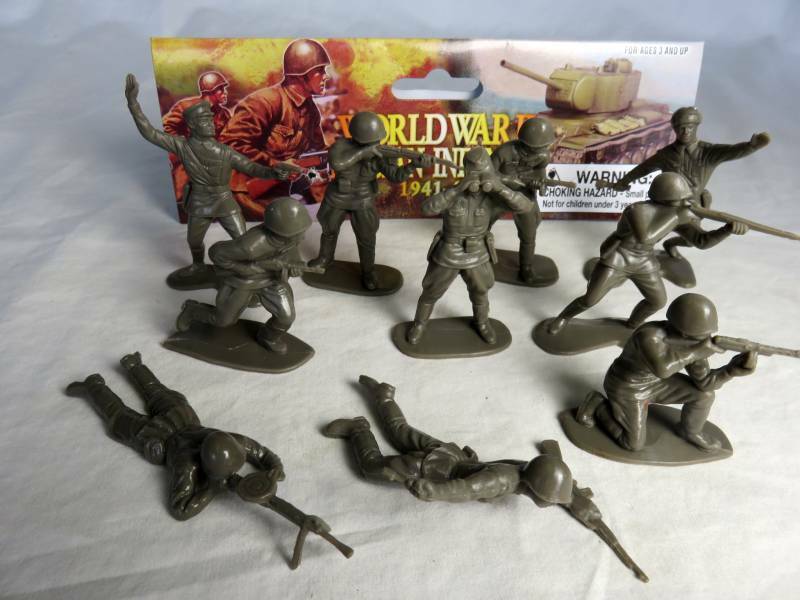 These are China made knock-off of both the Airfix and Marx WWII 54mm Russian Infantry. There has been a very slight shinkage in size and only a slight loss of detail. They were produced in a very nice brownish green plastic.